Free Hot Drink with Reel Seniors Club at Reel Cinemas Available every Tuesday on all films! Reel Kids Club from £2 at Reel Cinemas Valid every weekend morning and every day in school holidays! The Reel Cinema company started out in 2001 with one refurbished art deco cinema in Loughborough. Since then, the brand has grown, bringing its unique, family run brand of cinema management to 14 other towns, with plans for further expansion into new cinemas around the UK in the future. Reel Cinema believes that the cost of seeing a film at many of the larger chains has become too high, and so charges a fair price for tickets, as well as for popcorn, drinks and other concessions. You can save even more by taking advantage of some of their exceptional deals in the form of the Reel Cinema discount codes here at vouchercloud. Whether you want to see the latest 3D movie, action blockbuster or family film, you can be sure of a great experience when you visit your local Reel Cinema. How do I use my Reel Cinema voucher? As well as child tickets, you can also get tickets for teens aged 13-17 that offer a significant discount compared to full price adult tickets. These are available on all films suitable for the age range (so exclude films rated 18). You may need to provide proof of age to get these tickets. Student, NHS and armed forces discounts are also offered if you show the relevant current valid ID. Does Reel Cinema offer student discount? Yes, as a student you'll save £1 off the standard adult ticket price. Does Reel Cinema have autism-friendly screenings? Reel cinema has some select screenings of popular films that are designed to be welcoming to autistic people or families with autistic children. You can find out when these are for a film you are interested in on the Reel Cinema website, where they are highlighted on the list of screenings in purple. Is it cheaper to book Reel Cinema tickets online? A small card processing fee is applied when you buy your ticket online. For details of current fees, see the Reel Cinema website. For information on opening times, just find your nearest cinema online. You can get in touch with Reel Cinemas via the contact form on their website, or via social media. Reel Cinema is one of the larger independent cinema companies in the UK, with 15 cinemas in towns all over England, including Hull, Ilkeston and Borehamwood. 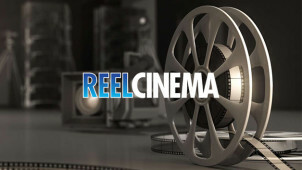 Reel Cinema is a family run business that prides itself on the role it plays in the local communities, as well as the great value for money on 2D and 3D films. Use the Reel Cinema vouchers you'll find here at vouchercloud to get even better value for money on your tickets, and plan your trip to catch the latest from the silver screen. Reel Cinema hosts regular special local events in the various areas where it has cinemas, and these can include special screenings for groups like schools, displays of local art in the foyer of the cinema, and even screenings of special locally significant films. They even offer student discount, NHS discount and Special forces savings. If you want to find out what is going on in your nearest Reel Cinema branch in the near future, choose your location on their website and click Local Events on the main menu. While it shows films for all different audiences, one of the best things about Reel Cinema is its family friendly environment and policies. Watch a U or PG rated film during the daytime with your kids, and you can bring a baby under 2 years old for free – no need to find a babysitter! Take a look at the savings available with our fantastic selection of Reel Cinema discounts online, and take a look at the latest showings to plan your trip to your local cinema today!